Commercial roofing projects are complex, with multiple points where things can go wrong. Pain-free projects happen by minimizing the amount of potential complications and completing the project as cost-effectively as possible. There are many ways commercial roofing companies work to achieve this—whether it’s how fast they complete the project, how cost-effective they can do it, or how easy they are to work with. While we believe all those things are important, at Maxwell Roofing & Sheet Metal, Inc., there’s one thing we do a little differently. But, before we get to that, there’s something you should know about all commercial roofs: They contain sheet metal. 1. Lower likelihood of complication or failure in the project. By eliminating contractors, middlemen, and vendors, commercial roofing companies who fabricate their own sheet metal can decrease potential points of complication, miscommunication, or mistakes in a project. In short, in-house fabrication keeps things simple. Direct from the roofing company to your roof, with no riff-raff in-between. 2. Projects move more quickly. 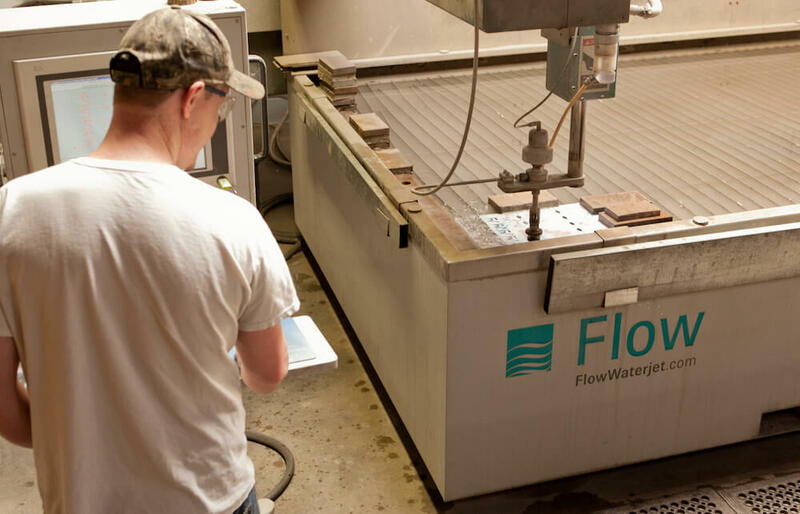 Outsourcing sheet metal fabrication adds time to the project’s schedule. This often puts the project at the mercy of a third-party’s schedule instead of your specific needs. Companies who provide in-house roofing fabrication can complete projects more efficiently and work with you on an individualized basis to maintain appropriate timeline considerations. In-house roofing fabrication gives both the roofing company and the client more control over the project’s timeline. 3. More efficient customization. In-house fabrication allows you to work directly with the roofing company to customize your roofing design. By working directly with the fabricating/roofing company, you simplify the communication process and maintain the ability to more efficiently communicate your needs for the project. 4. Projects fit on a smaller budget. Companies who perform in-house roofing fabrication don’t have to pay third-parties for the roofing fabrication process. By completing the fabrication in-house, they can cut out the costs associated with outsourcing such a large part of a roofing project. Commercial roofing projects can be complex, time-consuming, and, in general, not always inexpensive. Working with a company that offers in-house roofing fabrication lets you simplify your roofing project, reduce potential complications, and receive great service at a cost-effective price. Interested in working with a company that has its own in-house fabrication department? Just click here to contact us and learn how we can help.